Welcome, APSCURF members. 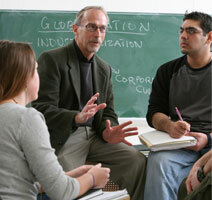 Retiring from teaching doesn’t mean you retire from APSCUF and the important activities of our association. Whether you’re thinking about retiring in the near future — or are already retired — APSCURF was created for you. APSCURF offers a wealth of activities and benefits, while keeping you connected to the people and the profession that are so important to you. If you’re in the midst of planning for retirement, check out the State System’s retirement guide and this checklist. At right you’ll find links to download benefits information and forms. 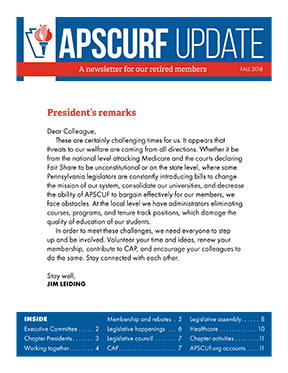 APSCURF is pleased to publish a newsletter for retired members. Click here to view the 2018 edition and retiree newsletter archives (login required). Thank you for your interest in APSCURF. Please click on the links below download an application or renewal form.